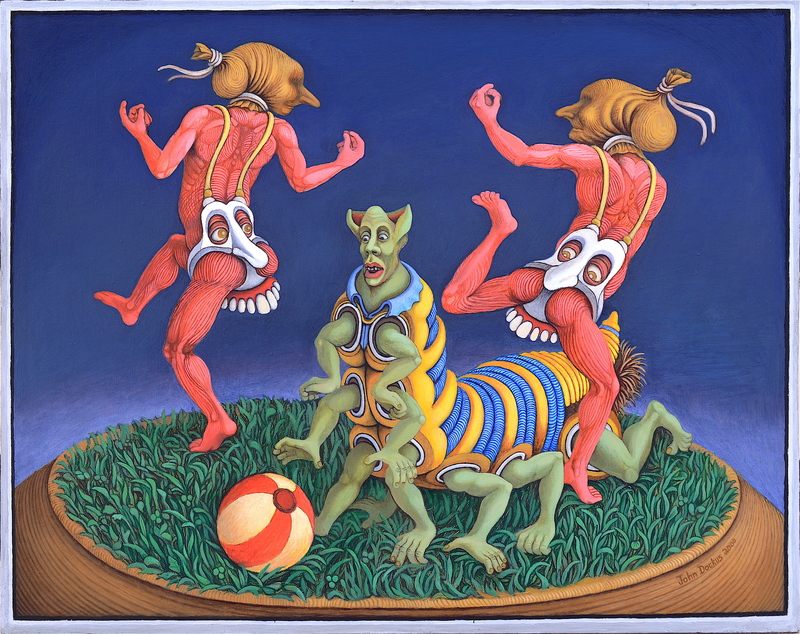 This entry was posted in art, oil painting and tagged anthropomorphic, conjure, Grass, Mound, oil painting, outsider art, Sand, wierd. Bookmark the permalink. Thanks for leaving the first comment here, Cheryl. I’m new at blogging and have existed in deep isolation for a long time, kind of living a double life. I haven’t had much nurturing and encouragement. Your comment as brief as it is means something to me. I see what you do, planting seeds everywhere, but I’m a willing participant because anyone who is directed back to your blog will be rewarded if they spend a little time there. I love the warmer personal photos of you, you with your son there, when you click on the more serious photo of yourself on your blog. I’m absolutely delighted to see the photos of you dressed up!